Deborah Halverson was an editor at Harcourt Children’s Books for ten years—until she climbed over the desk and tried out the author’s chair on the other side. Now she is the award-winning author of Writing Young Adult Fiction For Dummies, Writing New Adult Fiction, the teen novels Honk If You Hate Me and Big Mouth, the picture book Letters to Santa, and three books in Remix series for struggling readers. 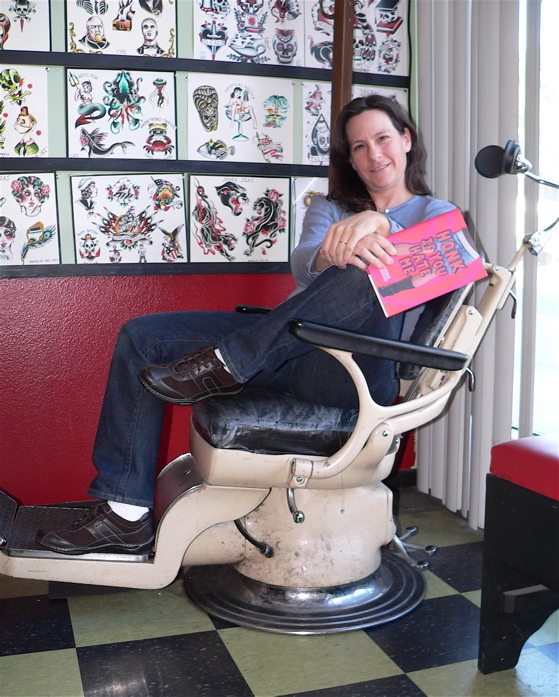 Armed with a master’s degree in American literature and a fascination with pop culture, she sculpts stories from extreme events and places—tattoo parlors, fast-food joints, and, most extreme of all, high schools. In addition, Deborah is a freelance editor, writing instructor, and founder of the popular writers’ advice website DearEditor.com. She serves on the advisory board for the University of California San Diego Extension “Children’s Book Writing and Illustrating” certificate program and speaks extensively at writing conferences and workshops. 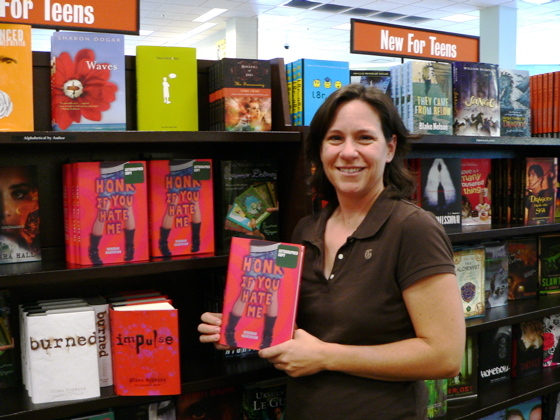 She has been working with authors—bestsellers, veterans, debut, and aspiring—for over twenty years. She specializes in editing picture books and middle grade, teen, and new adult fiction and nonfiction. 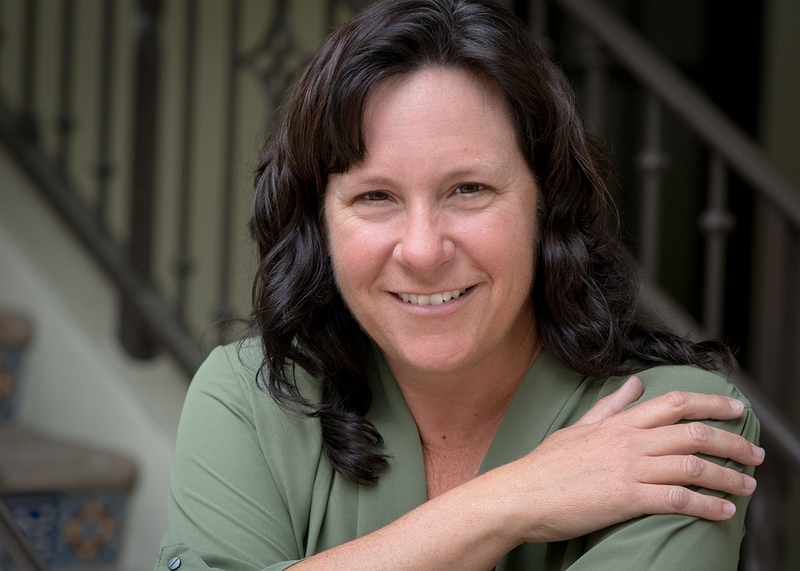 The books she’s edited have garnered awards and rave reviews, and many of the aspiring writers she’s coached have landed agent representation and book deals. 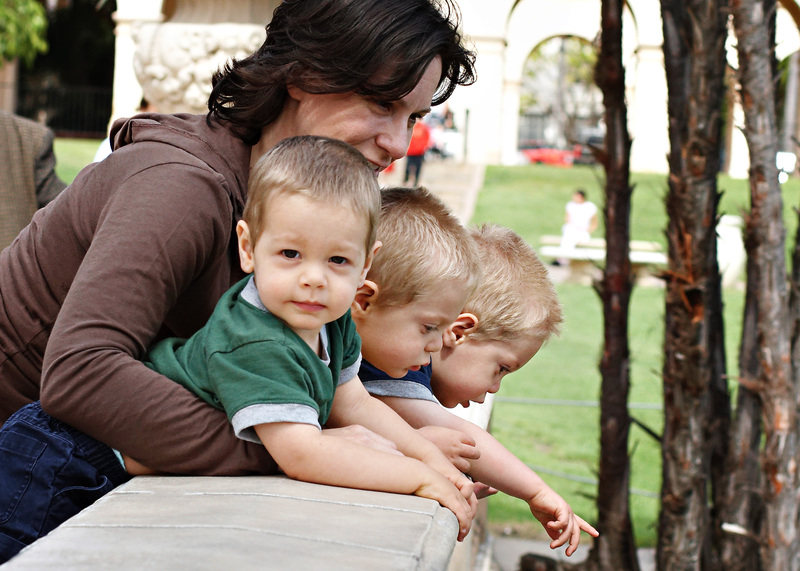 She lives with her husband and triplet sons in San Diego, California. For more about Deborah, visit www.DeborahHalverson.com. You write about extreme places, events, and people. Where do you get your ideas? Everyday life is full of ordinary things being taken to the extreme. For instance, washing windows takes on new meaning when it’s done on the top floor of the fourteen hundred-foot Empire State Building. Even the simple act of eating can be extreme— competitive eaters regularly scarf down cow brains, beef tongue, jalapeno peppers . . . you name it. And they do it fast. The champion hot dog eater devoured fifty-four and three-quarters hot dogs and buns in twelve minutes. Twelve! Why? Because he could. That fascinates me. Eventually, my brain connects bits and pieces of the extremes I’ve noticed and stories evolve. I have always wanted to write novels—but I didn’t reveal that dream to anyone until I sold my first manuscript, Honk If You Hate Me. Only a handful of people knew I was writing at that point. In fact, when I began drafting that novel two years earlier, I only admitted to my husband that I was “typing.” He knew what I was up to, of course, but he let me have the privacy I needed to experiment. He’d ask, “Did you type a lot today?” And I’d reply, “Yes, I typed a lot.” I didn’t want to be someone who forever talked about writing a book but never actually did it. I didn’t even know if I could do it. Oh, I’d written stories as a kid—I still have my first “book”, a sci fi story stapled into a folded piece of cardboard. I’m sure We’ll Never Make It Home in Time for Dinner wowed my fellow fourth graders at Sandburg Elementary. I also wrote creatively in my job as a children’s book editor. But writing my own novels . . . well, that was an entirely different proposition. One day I decided to find out if I did have what it takes—the ideas, the ability, and, perhaps most important of all, the discipline to be a Writer. I plopped myself down and just started typing: “The wrinkled checker kept looking up at me.” So begins Honk If You Hate Me. Because my triplet sons are wonderful nappers, I can write while they nap and after they go to bed at night. Of course, I’m always thinking about my stories, but because my actual writing time is limited by my trio’s sleep cycles, I am very purposeful about putting the words on the page—as soon as the third boy is in bed, I drop into my chair and start typing, just as I did on my very first day as a Writer. I don’t even wait for the ideas to flow, I just let my fingers start tapping keys and see what happens from there. After all, the boys will be awake soon! Your triplets make cameo appearances in your novels. Do other personal details or experiences end up in your stories? You spotted them! My boys fill my thoughts when I’m not writing, so it’s no surprise that they’ve crept into my stories. Indeed, other bits of my life occasionally slip into my stories, too, like Shermie’s obsession with particular foods and flavors in Big Mouth—personally, I couldn’t pass up a white Gummy Bear if my life depended on it, but I haven’t eaten a yellow one since first grade. What flavor is that, anyway, Lemon Pledge? Mona’s fascination with clever bumper stickers in Honk If You Hate Me is right up my alley, too. I collected inspirational quotes when I was in high school, although I never wall-papered my room with them. As for Potter Pete’s meat wagon—absolutely true to life! A converted ice cream truck hawking raw meat drove past my house every day as I wrote Honk, only it played mariachi music instead of Elvis ditties. Sometimes the most unbelievable details come from real life. Are your characters inspired by people you know? Even though personal details do end up in my books, I can’t trace any of my characters back to people I know. The characters seem to create their own personalities as their tales develop, I just go along for the ride, giving them a little nudge now and then—much like raising children, I suppose. It makes sense that the characters develop interests similar to my own or to some of my friends and family, as most people tend to choose friends who like the things they like, and I do consider my characters friends. Heck, I have to—I spend more time with them than I do with my “real” friends, who can’t all come to visit every time my boys nap. Do you have to do any research for your books? We’ve all heard the adage “write what you know.” It sounds like great advice, but so far I haven’t taken it. Instead, I’ve tackled topics that were new to me and required extensive research. For Honk If You Hate Me, I spent time with tattoo artists and fans at conventions and in private tattoo parlors. For Big Mouth, I researched eating disorders and followed a season of competitive eating that ended with another record-breaking performance by Takeru “Tsunami” Kobayashi, a tiny man who keeps surpassing his own milestones. He’s the guy who ate fifty-three and three-quarters hot dogs and buns in twelve minutes. I also spent a lot of time in ice cream shops and my grocery store’s candy aisle. In fact, I gained seven pounds “researching” my second book! Maybe my third novel should be about gym rats. What sparked the idea for Honk If You Hate Me? In 1987, eighteen-month-old “Baby Jessica” got the nation’s attention when she slipped into an 8-inch-wide pipe. Around the country, people watched with bated breath as rescue workers gingerly dug for fifty-eight hours, eventually water-cutting into the pipe that imprisoned the child, saving her life. Since then, news crews have regularly hunted down Jessica McClure for various “Where Are They Now?” segments, and a TV movie was made about her rescue. “Baby Jessica” is even an entry in many cultural encyclopedias. I’ve always wondered how strange it would be to be famous your entire life for something you did as a small child—an age when no one is particularly aware of what they’re doing, and they often have little or no memory of doing it. What does tattooing have to do with all this? Nothing, I just couldn’t resist setting a story in the world of tattoo, a subculture that at once alienates itself and demands attention, all while welcoming anyone who has an open mind. What a wonderful setting for the story of a girl desperate to hide from a world that won’t take its eyes off of her. I don’t. Looking back on my yearbook photos—or even at photos from a few years ago—I’m horrified by the hairstyle decisio ns I made. Surely I’d now hate any tattoo I would’ve chosen back then. Tattoos are too permanent for this gal. There is more to Big Mouth than the wacky sport of competitive eating. What drives you to explore eating disorders in boys? One of my high school friends was on the wrestling team. He would go days without eating—at the encouragement, or at least the blind eye, of his coaches. That amazed me. While we girls were self-conscious and secretive about how much we ate or didn’t eat, how much we gained or lost, he was toeing the line of a lifelong eating disorder in full view of everyone. Big Mouth may be about loyalty and friendship, but it is also about choosing balance over unhealthy extremes, about seeing the line between real life and media hype, and, most importantly, about recognizing the misguided reasonings that lead to eating disorders. Seventy percent of high school boys are dieting, with peer pressure, media influences, and the weight demands of sports such as wrestling leading the list of reasons why. I hope that Big Mouth offers boys an entertaining and funny opportunity to explore these pressures. How do you write from a teenage boy’s perspective? You’re a girl, after all. I, too, wondered why it was so easy to write from a guy’s point of view. Then I remembered that when I grew up in the 1970s, scrambling through trees and over fences playing “explorers” with my guy friends, I always pretended I was a boy explorer because I knew that if I announced I was playing a girl, they’d make me sit in a tree and wait to be rescued. Boring. Hence, my boy-oriented imagination. And the early roots of my feminist side, I suspect. At least that’s my guess. Which books inspire your storytelling? On any given day, you can catch me leaning against my bookcase reading a random page or two from my favorite young adult books—Philip Pullman’s The Golden Compass, Christopher Paul Curtis’s Bud, Not Buddy or The Watsons Go to Birmingham—1963, Jean Ferris’s Once Upon a Marigold or Much Ado About Grubstake, or anything by Karen Cushman. Ultimately, though, all the things I love about stories can be found in a handful of books by four great storytellers: Midnight’s Children by Salman Rushdie, White Noise by Don Delillo, and Skinny Legs and All and Still Life with Woodpecker by Tom Robbins, and everything by the brilliant and funny Bill Bryson. Anyone looking for a good read will find it in these books. In what ways do you hope your stories will influence readers? My ultimate goal is to entertain readers. Anything beyond that is cake, pure and simple. You are also a freelance editor and writing instructor. Do you have any advice for aspiring writers? Editors often find themselves telling young writers, “Show, don’t tell.” That is, don’t describe something in your story, show it in action and let the readers make their own judgments based on what they observe. My advice to aspiring writers is a kissing cousin to that philosophy: “Do, don’t talk.” Whether you call it writing or storytelling or simply “typing,” sit down and do it. Even the best ideas are nothing without the doing. I learned that firsthand. Let your fingers start tapping keys or pushing pens and see what happens. You never know, you might just be writing the opening line of your first published book.